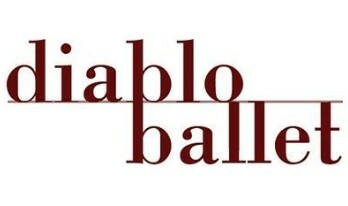 (by Janis Mara) – Diablo Ballet has been granted nearly $25,000 by the California Arts Council to help incarcerated teen girls learn to express their emotions through movement and teamwork, the ballet company said Friday. The $24,608 grant will pay for weekly classes for 10 months for 45 girls ages 15 to 18 incarcerated at John A. Davis Juvenile Hall in Martinez, according to Lauren Jonas, the ballet’s artistic director. This is the fourth year the California Arts Council has funded the endeavor through its JUMP StArts program. The classes at juvenile hall are part of a larger program at the ballet, the PEEK Program. The juvenile hall classes are known as the PEEK Extension Program. “(The grant) enables us to work in juvenile hall with at-risk teenage girls,” Jonas said. “We teach them to express themselves through movement and get them on a better path. We’ve been very successful in the last three years. “Since we have been (at juvenile hall), we saw only four returned detainees, which apparently is remarkable because it’s usually a revolving door. We’re really proud of the girls and the program,” Jonas said. Enrichment for Kids and the PEEK Extension is just a small part of the PEEK program. The grant will provide Diablo Ballet with the money needed to implement the PEEK Extension courses and hire a curriculum specialist to further refine the curriculum, ballet officials said. The arts council’s JUMP StArts program focuses on high-quality arts education and artists-in-residence for youth in the juvenile justice system. I just wish it wasn’t funded by tax dollars. If this program prevents 1 of the 45 girls returning to juvenile hall or even prison, we can save hundreds of thousands of dollars. It an incredible return on investment. what a wonderful thing to bring to the challenged youth. hope and art! ….fun. You’re right, it’s fun to help rehabilitate at-risk youth from broken homes, and give them hope for a brighter future. Are these children being separated from their parents? Yes, because many at-risk youth are from foster homes or broken households to begin with. In a way, it’s even more traumatic growing up without parents. I hope you can emphasize. Are you hoping I can emphasize, or are you hoping that I can show empathy? I can and do show empathy. Unlike your comments about “Pabst, monster trucks and Fox News”. Very generic. So, is there any money left after paying for a curriculum specialist? How structured does this program need to be? I see overhead costs eat this grant away. Why not teach them anger management, self esteem, avoiding pregnancy? It’s ballet at a juvenile facility with at-risk kids from foster homes and even coming in from homelessness at a very young age. Ballet is anger management, self esteem building and teamwork. Depending on the person, it might help a lot more than circle groups and counseling. $50/mo student is nothing, and there’s no way Diablo Ballet even considers this a moneymaker. They’d be paying someone as an IC. If you’ve got $500 a month to spend on ballet then maybe you should be donating to this cause. In fact if you’re spending $500 just maybe you don’t make very good choices. I think maybe you got taken on that investment. Well then Law Dog ,then you do realize the value in that investment. 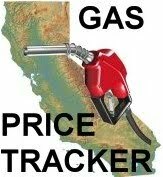 And they are doing it at one tenth the cost of what you invested. I’d say that’s a good thing. May these girls too become productive members of our society. Hey, Math Dog still here. Just image if every girl in juvenile hall were nurtured and given the time and dedication so they too could make 200k a year, how much we would benefit as a society, as opposed to them just getting out and doing meth and having babies. From your comments I might hope that your daughter has learned more from participating in ballet than you are aware. These girls are “given” a chance. They too have to put in the time to succeed. Miller provides some constructive answers. Check out his comments. This will help them hone their skills for a career in dancing.